Manchester Lock & Security proudly recommends, provides, and supports products of the following manufacturers. 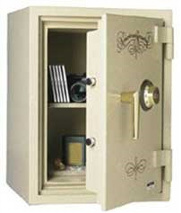 Choosing the right security product is critical when it comes to comfort and peace of mind. Manchester Lock & Security’s commitment to education, training and product awareness strive to prescribe the best possible solutions customized to each client’s needs. Our Security, Lock Hardware, Video Surveillance, Access Control, Safe & Vault, Door products are chosen for their high performance and quality. From basic locksmith product needs to more sophisticated keyless access systems, Manchester Lock & Security can produce the right solution for your security needs. We can provide key controlled high security lock cylinders or push button audit trail solutions for the access and security of your facility. Manchester Lock & Security will provide free security estimates to determine the best security solution in installing your CCTV, card entry system, high security lock system, safe or government locking system.